The San Jose Blog: PINKBERRY CONTEST WINNERS!!! Congratulations guys! If you're a winner, please send your mailing address to josh@thesanjoseblog.com and I'll send over your gift card. For everyone else (including those that did not participate), your consolation prize can be the Pinkberry party today with FREE yogurt and musical entertainment, featuring Evan Taubenfeld (lead guitarist for Avril Lavigne). 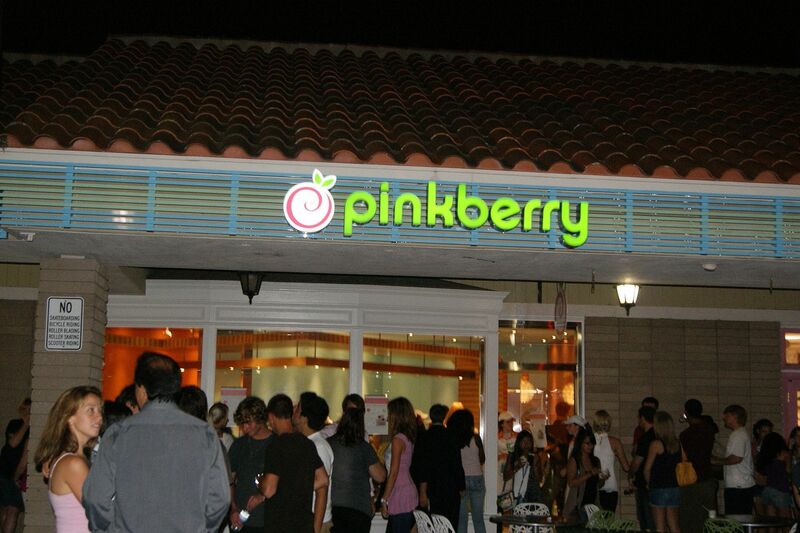 The party goes from 6-10pm at the new Pinkberry location in the Pueblo Plaza Shopping Center, 1110 Blossom Hill Road. Enjoy! No not fair, I demand a recount! Hey!!! That is cool!! I like the contest!!! What a great idea! What about yogurtland in the Robertsville. I work at The Futon Shop and every time i go in..the flavors are so fresh and tasty! Today I had sugarfree nonfat strawberry yogurt..delish!! I will have to check out Pinkberry.